While chronic pain can be a debilitating condition, there are steps you can take to help reduce your discomfort. We are going to look at how adaptogens can help chronic pain as well as some specific adaptogens you may want to consider. Adaptogens work by responding to what your body needs. You can think about them like a thermostat in the way that they work, trying to restore balance whether it means bringing something up or calming something down. They can be extremely helpful when you are dealing with fatigue and stress related to any form of chronic pain you may be experiencing. Chronic pain can make you feel depleted, but with the help of adaptogens, you can help your body restore balance, and may also help to combat inflammation which is often at the source of the pain you are experiencing. What Adaptogens can Help Support Chronic Pain? There are certain adaptogens that may work best for supporting your body when dealing with chronic pain. Ashwagandha: Ashwagandha is great for reducing inflammation, and helping your body cope with stress, two things that can happen when dealing with chronic pain. It can also be helpful for reducing anxiety and supporting energy levels. Ginseng: Ginseng is great for energy support, and may be helpful for reducing inflammation. It can also be helpful for helping the body deal with stress. Rhodiola: Rhodiola can also help support energy levels, and support a better mood which can ultimately help support those suffering from chronic pain. It can also help the body handle chronic stress which is a big issue when dealing with daily pain. 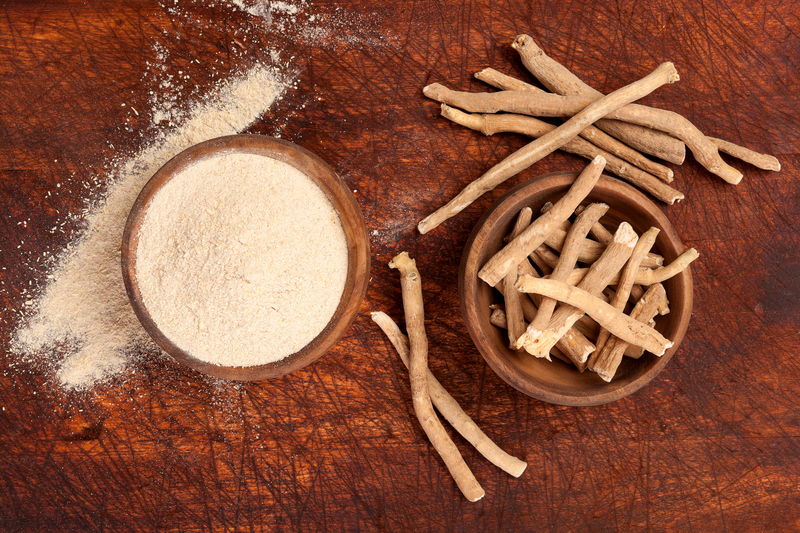 Adaptogens may make an excellent addition to your supplement routine. An ideal way to help support the body with adaptogens is to supplement with an adaptogenic herb blend like Yinergy or Vigor. These blends contain synergistic adaptogens to work together to provide your body with the best support possible. If you are looking to start supporting your body with adaptogens, check out our Yingery and Vigor blends, and see what they can do for your overall health. If you are suffering from chronic pain, and are interested in trying adaptogens, be sure to speak with your doctor first, especially if you are taking prescription pain medication. Some adaptogens do not mix well with prescription medications.